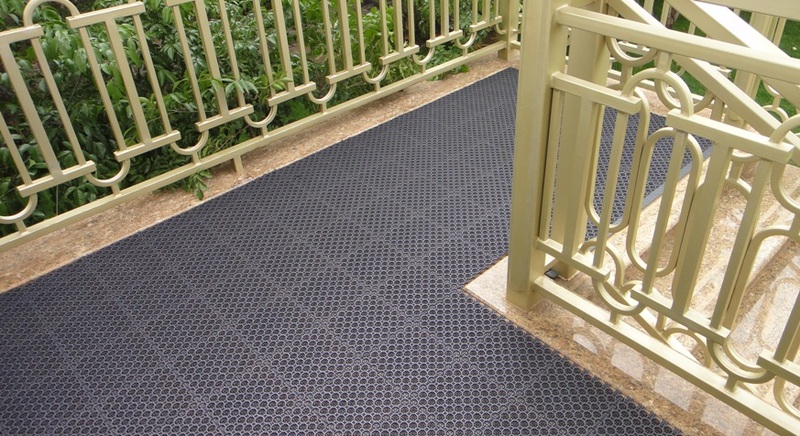 Super Guard is our enhanced, modular flooring tile product. 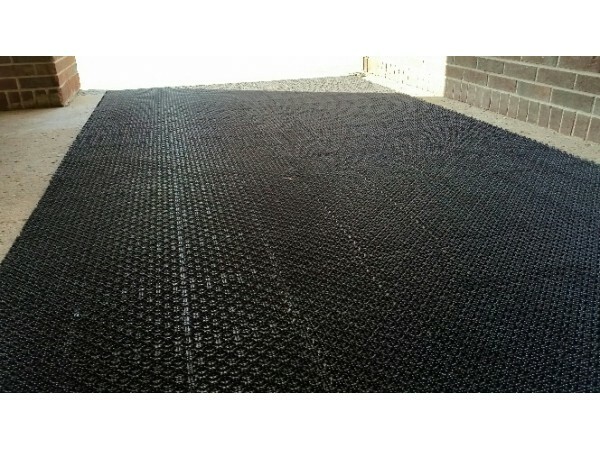 It is frequently installed as an outdoor matting system where aggressive scraping tines are required. 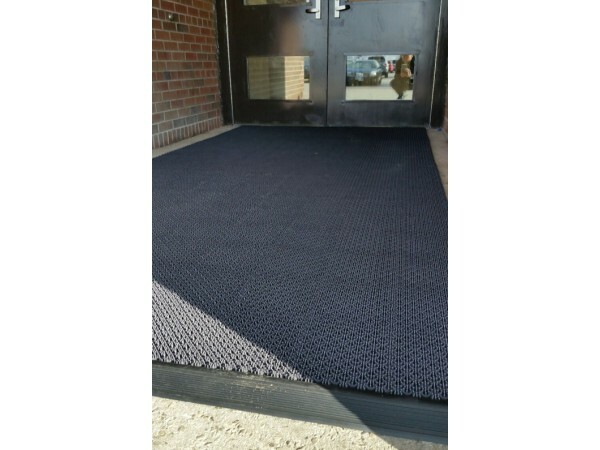 Used as an outdoor entrance mat or fitted in mat wells, it can also be used for a variety of other recreational, industrial or commercial tasks. 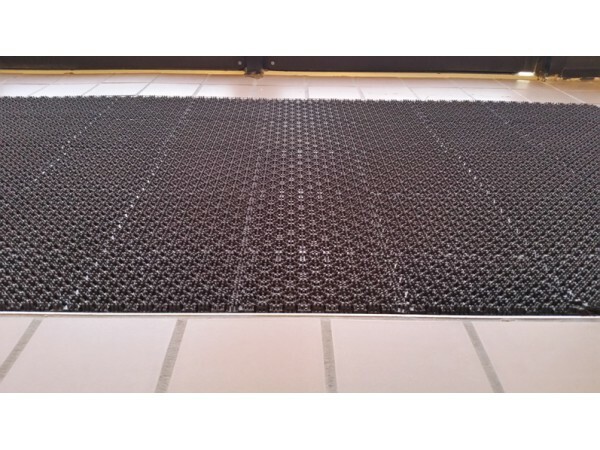 Super Guard can be surface mounted by using our unique edging system. It’s great for all seasons and is easy to maintain through periodic washing with a hose or pressure washer. 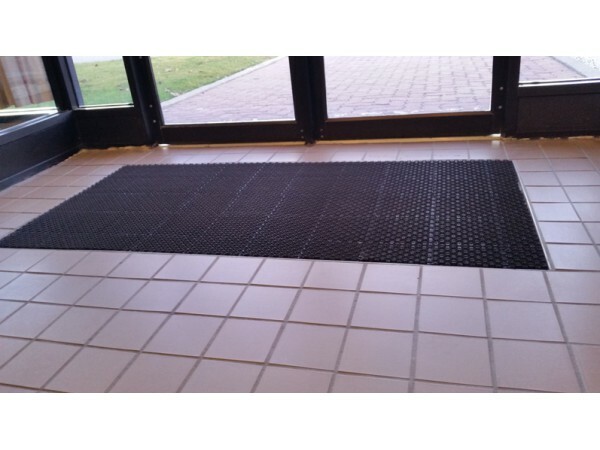 Ideally used as a primary scrub mat, Super Guard is your first defense against floor pollution. 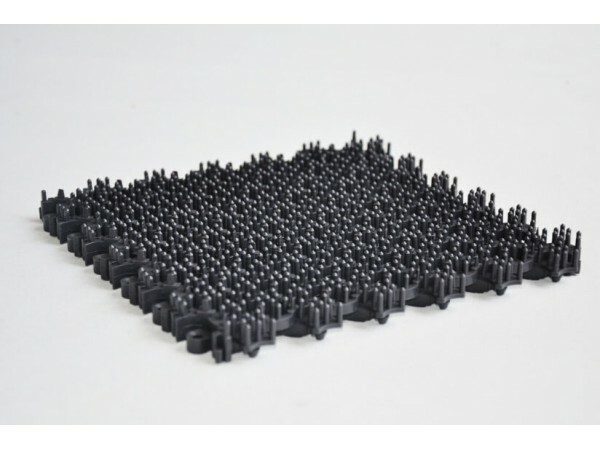 • Molded from a durable, UV resistant PVC compound. 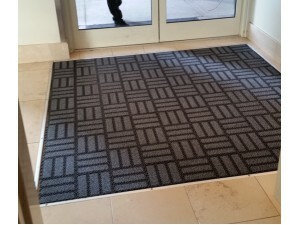 • Enhanced parallel circle design of Super Guard incorporates aggressive scrapers making the product highly effective at scrubbing and trapping dirt and debris. 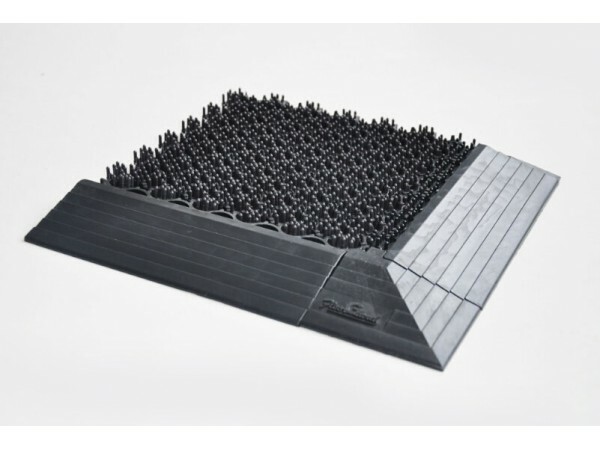 • Flow-through structure, combined with the recessed grooves, facilitates unrestricted water drainage. 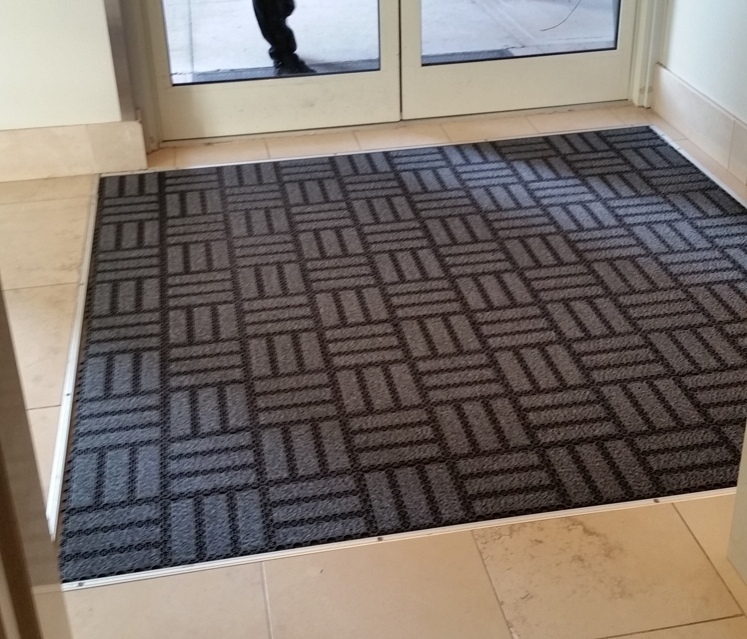 • Designed for extreme weather and medium to heavy foot traffic. • Best suited as your primary defense outside of schools, sports camps, ski resorts, stables, golf courses, recreational facilities, etc. 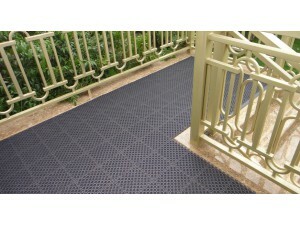 • It is an excellent outdoor mat solution where a durable and rugged mat is required.